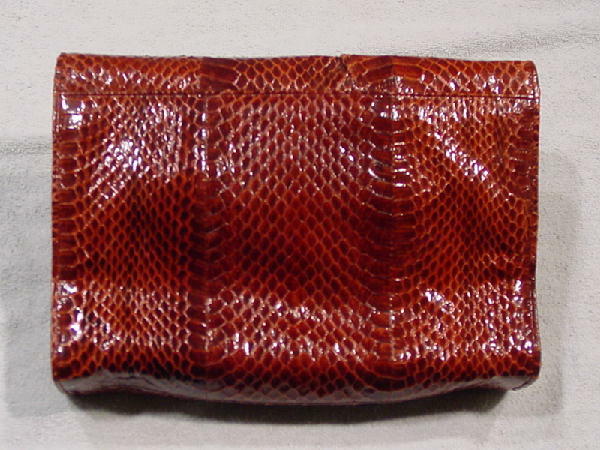 This vintage snakeskin purse is by Mary Ann Rosenfeld, was made in Hong Kong, and is in a reddish-caramel color. It has a full front flap with gathering extending upward from the horizontal three-row panel. The interior of the flap has a magnetic closure and is in a burgundy-wine leather. 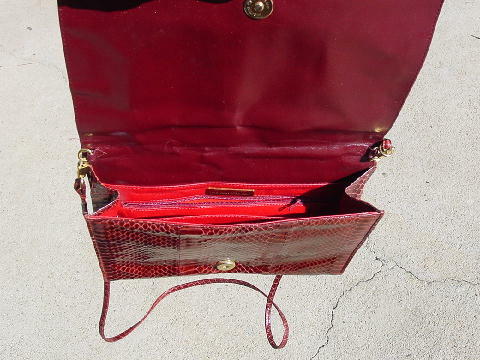 The purse has a red leather interior with two pockets, one open and the other having a side to side zipper. There is a gold-tone nameplate above the zipper. 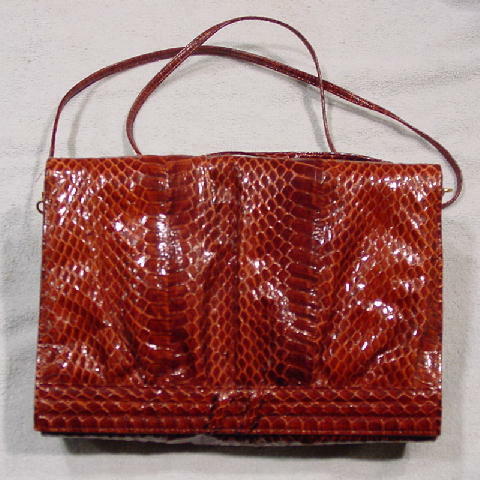 It has a 45" long by 1/4" wide snakeskin shoulder strap. The strap is attached to the purse by gold-tone loops. It's beautiful snakeskin in a great color. It can be worn from daytime to evening. It's from a stylist's collection, and was used in a magazine photo shoot.